A slimline tonic! Give your professional image a boost with these stylish slim business card holders. 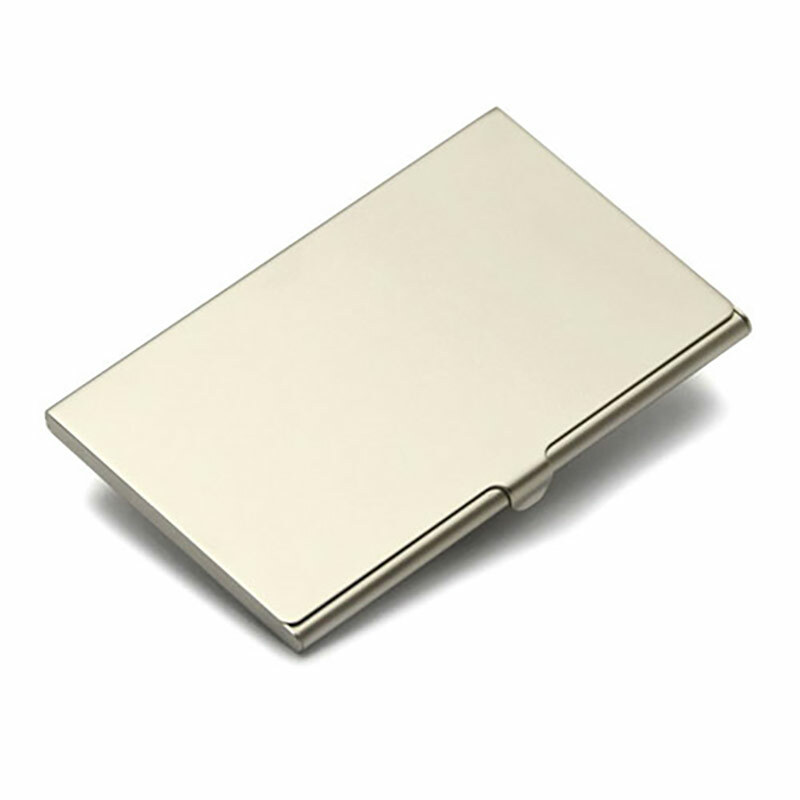 Featuring a matt silver plated finish and with a slimline design, they slip easily into your pocket or handbag. Each case can carry 10-12 standard business cards, and the sturdy metal body ensures that your cards are always presented in pristine condition. The silver plated case is perfect for engraving, for instance with initials, your name, company or brand logo, or any other inscription you choose. Remember, we offer free text and logo engraving, so you can customise these matt silver business card holders at no extra cost.